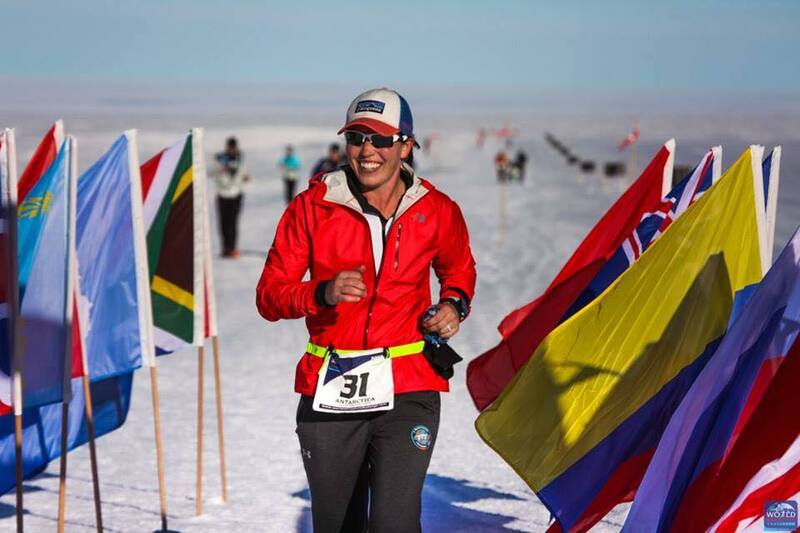 Sarah Lacina runs in Novo, Antarctica, as part of the World Marathon Challenge. Sarah Lacina ’06 has admittedly done a lot of crazy things—she’s a two-time castaway on CBS’ Survivor and even won the $1 million grand prize on Survivor: Game Changers—but the former Wartburg track and cross country runner thought this challenge might be too much. Sarah Lacina celebrates the finish of the World Marathon Challenge. From that moment on, she did. 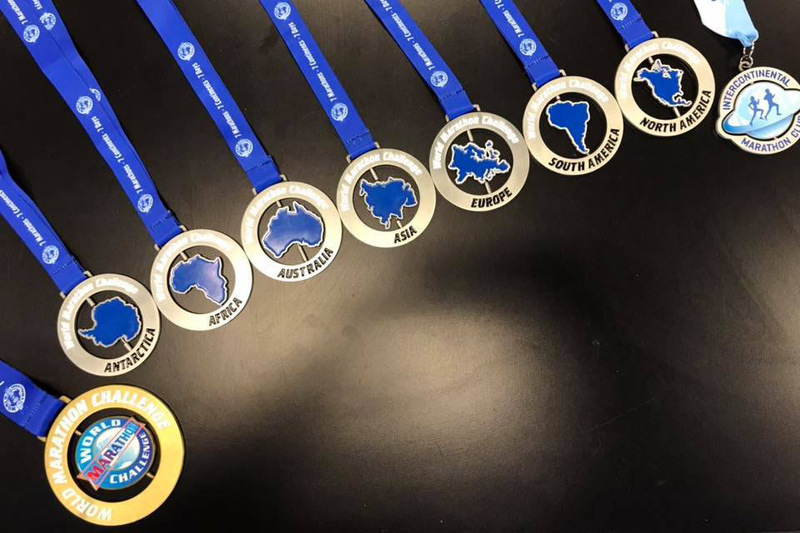 Lacina found herself part of 777, a team of 16 adventure-seekers set on completing the World Marathon Challenge. And she did it all while trying to balance the everyday challenges of work (she’s an investigator with the Cedar Rapids Police Department), motherhood (she and her husband, Wyatt, have a 3-year-old son, Knox), and small-business ownership (the couple are part-owners of a CrossFit gym). The clock started ticking for the team Jan. 30 in Novo, Antarctica. From there they traveled to Cape Town, South Africa; Perth, Australia; Dubai, United Arab Emirates; Lisbon, Portugal; and Cartagena, Colombia, before finally touching down in Miami, Fla., for their final run Feb. 5. Though Lacina’s passport is full of stamps, she wasn’t able to enjoy any of the destinations along the way. 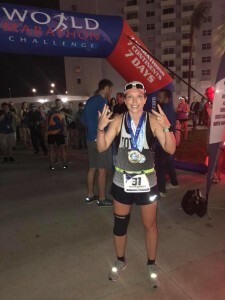 Lacina, who injured her knee in the Dubai marathon on day four, said the only things that got her through the final run in Miami were her friends, who ran part or all of the 26.2 miles with her, and the knee brace her other Survivor: Game Changers friend Troy Robertson was able to provide. After returning home, Lacina found she had torn her meniscus and had bursitis and a Baker’s cyst. When asked if she would consider completing another World Marathon, Lacina’s answer was a resounding no. She wasn’t as certain about another season of Survivor, adding that her son would have to be older and it would have to be a season of all winners for her to consider another adventure on a deserted isle. She hasn’t ruled out other off-beat challenges, either.